This volunteer occupational therapy project helps disadvantaged patients at orphanages, care homes and hospitals in Brasov. We are looking to provide alternative treatments for patients who struggle with traditional doctors due to a lack of social skills. The plan is for you to help create a relaxed atmosphere to help with social interaction. 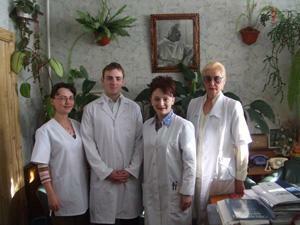 How can volunteer occupational therapists help in Romania? Planning, designing and facilitating a schedule of activities with individuals and groups. Organising and running training workshops for local staff. Producing documentation and guidelines for your therapy to be used by existing staff in the future. Attending meetings to share ideas, expertise and good practice. Assessing the needs of patients by listening and providing guidance. Working creatively with various patient groups in a therapeutic setting. Constructively challenging the behaviour and attitude of patients and parents or carers. We work with a large variety of care centres, foster homes and hospitals in Romania. We will try to place you with more than one institution. This means that you can share your knowledge with a large group of professional care workers. This project runs all year and we are completely flexible about dates. You decide how much time you can spare and we will help you get the most out of it. You will gain experience of teaching staff, patients and carers about your therapy. You will also work alongside experience professionals with whom you can share ideas. Working in a pressurised environment with a lack of resources will challenge you to improve your skills. If you have at least a Bachelors Degree in Occupational Therapy or a related subject then you are perfectly suited for this project. Please note - while this project is aimed at occupational therapists, the institutions we work with are also looking for anyone with experience in art therapy or music therapy. Please get in touch if you feel you can help in either of these areas.